Each of those tiny components has a unique and highly specific job to perform. Without even one of those components the circuit would not function properly. The circuit boards you see in computers and other electronics devices take a team of dedicated electrical engineers to design and build. They select and solder the appropriate electronic component to the printed circuit board that controls how the device operates.If you are interested in learning more about electronic components and how you can use them in your own projects, it’s best to start educating yourself as to the purpose each component serves. Here are the three most common types of electronic components.You can check here texas instruments components. A circuit board works by routing voltage through its various electronic components in a specific way to produce a desired outcome. Some components require a greater or lesser voltage in order to operate. Resistors are the component that regulate voltage or limit the current flowing in part of a circuit. Essentially a resistor is a component that is designed to be a poor conductor of electricity. There are varying types of electronic resistance, but each component’s ability to resist a current is measured in Ohms.Compare this to a Variable Resistor, also known as a Potentiometer. You are probably most familiar with variable resistors in their function as a volume control knob on your stereo. It simply moves the point of contact on the resistive material, varying the level of resistance. A capacitor is simply an energy storage component. It is constructed of two metal plates separated by an insulator such as ceramic, mylar or electrolytic. A capacitor’s capacitance, which is measured in Farads, and the voltage across it determines the amount of energy that can be stored.A capacitor charges when a current of electrons flows from one plate to another. As the capacitor becomes more and more charged, naturally the current diminishes as the plate can hold no more electrons. When it reaches that limit it is considered charged because the voltage across the capacitor is now the same as that of the source. DC currents move in one direction, like a stream or a river. AC currents however, alternate the direction they flow indefinitely. An inductor resists changes in current flow, allowing DC or low-frequency currents to pass through it more easily. In its most simple form an inductor is a coil of wire similar to a solenoid. As current flows through the coil, a magnetic field is created around it where potential energy is stored. Should the power supply be cut, the magnetic field will collapse on itself and release the potential energy. While FPGA design methodologies were once only used for glue logic, they have now progressed greatly. Today, a system-on-chip design can be devised on an individual device. This is because FPGA design methodologies now have increased and improved features. There are several capabilities that were not offered previously. This has increased both the resources and the performance of FPGA designs, since they now offer customizable solutions. There are several benefits this offers, making these designs widely preferred over others. For one, FPGA designs make operations easier due to the fact that you have an unlimited access to tools. This is because the system allows you to use third-party tools that are not present in the design. This enables you to use several tools to manage tasks like time analysis and gate level simulation. The availability of a wide range of tools ensures that you do not have to work with limited resources. You can, therefore, perform all design flow tasks conveniently. Unlike traditional methods, this also ensures the smooth integration of designs. These design methodologies also offer other advantages, like a lower clock rate. However, to make sure that you benefit from these features, it is essential for you to possess thorough knowledge regarding the design. How can you write programs in FPGA? FPGA programs are called HDLs (Hardware Description Language). It is very different than the normal code you may have already seen. FPGA coding required parallel-programming knowledge and extensive experience in Digital Design. VHDL and Verilog are the main languages used to create applications in this technology.You must be thoroughly familiar with the features, development and the usage of the process. This will enable you to operate it in a way to maximize the benefits. If you are not aware of the particular techniques involved, it is recommended that you hire professional services. Hiring FPGA design services will ensure that you get the best possible results out of the process. This manufacturer offers a large fleet of printer models to suit every environment. These range from small desktop units to high volume machines that can print up to 120 full color cards per hour. The models in the Magicard line sound like something out of the car industry (Tempo, Rio, Prima, etc.) but the price tag is thankfully much less expensive. You can feel confident in the quality of these high performance machines since many of them come with an UltraCoverPlus 3 year warranty. The factory also offers to replace defective print-heads free of charge regardless of the reason for failure. 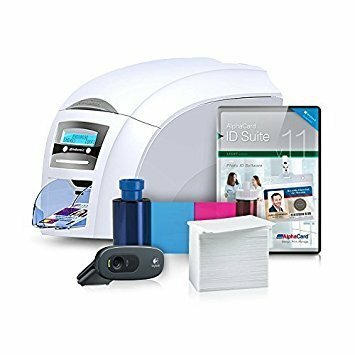 Your ID supplier can give you details on the current list of extended warranties and loaner programs available for the unit you are interested in.Learn more about this at Magicard ID Card Printers. These entry level models are single sided and work well for small membership programs, visitor management, and event access. Even at this end of the spectrum, every printer uses a combination of full color dye sublimation and thermal resin to deliver excellent image quality. A mag stripe station can be added to any of these units and a smart card module is available on the Rio2e. The Rio also offers a replaceable cleaning roller to keep your cards looking sharp and maintain your printer in top condition. Both of these models are available in double sided versions. This is especially useful for educational environments. You can incorporate printed class schedules on the back of each card. Law enforcement agencies in many states require extensive data (including signatures) to be clearly shown on their IDs. Using the reverse side as an extra printing surface allows you to include all relevant information on a single badge. The Avalon can also handle a wide variety of card thicknesses to offer even more uses for plastic card stock (business cards, marketing, etc). Pick the Tango series for simplicity in your high volume jobs. The printers come with Plug-and-Play drivers that make setup a snap. They also deliver USB, Ethernet, and parallel connections so you can hook the printer up to one PC or network for multiple user stations. With the Tango+L you also receive integrated lamination to add a protective layer to your cards. The +L has solid metal construction but still weighs in at less than 50 pounds. For employee IDs that will see a lot of wear and tear, it makes sense to invest in this unit and save the costs of frequent card replacement. This is the printer to choose if you want advanced encoding for proximity and smart cards. Thermal transfer film yields stunning image quality and protects the card surface from damage. Entry access, data control, and transit payment are all applications that can benefit from upgrading to this level of quality. Magicard promotes its HoloKote brand of laminates as a perfect supplement for your existing security solutions. A frosted holographic effect is incorporated onto the card surface during printing. This tamper-evident watermark can be a standard pattern from the manufacturer or a “Custom Key” provided just for your company. Either technology can also be partnered with HoloPatch stock that includes a highly reflective gold section near one corner of each card. This patch catches the light and makes the holographic image shine brightly enough to be seen from a distance of 6 feet or more. When it comes to handling your online business, an SEO expert is all that you need who can provide you with all the necessary suggestions and service so that you can lift the position of your business website to a decent ranking. Websites from different walks of businesses are created to hold a suitable position on the search engines. Hence, the advice of an experience holder is inevitable to carry on the job of improving ranks. It becomes a little tactical to find an expert. For this, you need to understand the pulse of requirements for ranking business. If you are aware of the needs then you will be able to recruit the best man in business. However, when selecting one, you have to keep in mind that the person should have knowledge about search engine optimization. Besides, he should also hold a track- record of reaching websites to the top rankings of the most popular search engines. To ensure that you go about the right search process, you should insist on such companies who can give you fruitful results that can be assessed and justified. In addition to this, the company should be able to guarantee the maximum amount of work for your website. An expert should have all the expertise and also first hand knowledge so as to improve your site’s position on search engines. The best way to go about your search is by looking for one in your location. Take a good observation so that you will be able to zero down on one particular person who will be able to execute his job with finesse. It is best to look up for people who have experiences from experts. Their feedback will be able to give you the right notion whether to select a particular SEO or not. Besides, he has to keep himself updated about the new things that are doing round in the SEO business. Therefore, a person acquainted with all intricate details will only be able to live up to your expectation.